Through a Beer Glass Darkly. Neil Shafer and Richard Zare in Physics Today, Vol. 44, pages 48-52; 1991. Beauty of Another Order: Photography in Science. Ann Thomas. Yale University Press, 1997. 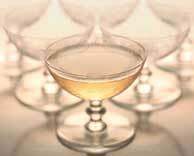 The Secrets of Fizz in Champagne Wines: A Phenomenological Study. Gerard Liger-Belair et al. in American Journal of Enology and Viticulture, Vol. 52, pages 88-92; 2001. Kinetics of Gas Discharging in a Glass of Champagne: The Role of Nucleation Sites. Gerard Liger-Belair et al. in Langmuir, Vol. 18, pages 1294-1301; 2002. Physicochemical Approach to the Effervescence in Champagne Wines. Gerard Liger-Belair in Annales de Physique, Vol. 27, No. 4, pages 1-106; 2002. © 2009 HOT MALT CO., LTD. All Rights Reserved.